Slots Magic is an entertaining online casino that offers more than just the pokies. This instant-play site is packed with bonus offers and promos, special daily tournaments, player reward programmes and various safe deposit options, all protected by 128 Bit SSL Security and certified by the Malta Gaming Authority. The site supports multiple languages, including English, French, Spanish, Portuguese, Polish, Turkish, Italian, Norwegian, Swedish and several others. While Slots Magic offers reliable software with a great range of real money games, there are some questionable limits imposed on winners which takes the casino down a notch or two. Sign-up bonus: Matched deposit bonuses and free spins during your first three real money deposits – terms and conditions apply. Games: A large selection of pokies (classic pokies, video pokies and progressive jackpot pokies), video poker, roulette, blackjack, punto banco, baccarat, craps, poker variants and live dealer games. Slots Magic uses an instant-play platform where all games are available download-free directly over your Web browser. While games are available to play for free in practice mode, you’ll need to register for an account in order to access them, which is a bit of a downfall for players who like to sample games before signing up. The mobile site offers an impressive selection of the games, which are available for all data enabled smartphones and tablets running Flash software, including iOS, Android and Windows Phone. Slots Magic offers a great welcome package as well as several ongoing promotions and bonuses. However, the downside is that there’s some pretty dodgy terms and conditions attached to the bonus offers, like the fact that the most you can withdraw from any winnings made from bonus money or free spins is $100 (or twice the size of the bonus amount, whichever is larger). Any winnings greater than this amount, which includes winnings subsequently won from bonus money even after a real money deposit, will be removed from your account. This is a pretty big disappointment and definitely detracts from the bonus offers which would have otherwise been very attractive. Welcome Package – New players can claim up to $400 in welcome bonuses plus 200 free spins, spread out over your first three real money deposits. Get 100% matched up to $150 plus 50 free spins on your first deposit, 50% matched up to $125 and 50 free spins on your second deposit, and 50% matched up to $125 and 100 free spins on your third deposit. Just enter promo code ‘MAGIC’ when making your deposit to claim. Daily Picks – Registered players are rewarded with a new bonus offer every day, just log in to your account to see what special offer is available. Free Spins for a Year – Make a deposit of at least $50 while entering promo code ‘ Y520’ and you’ll win 10 free spins every week for an entire year. Free spins will be credited to your account on Thursday or Friday, with maximum wins from free spins capped at $100 per week. Unless otherwise stated, all bonus offers at Slots Magic come with a 25X wagering requirement. This would actually be one of the more lenient wagering requirements stipulated by our recommended casinos, however in our eyes that leniency is made obsolete by the $100 withdrawal limit from bonus winnings. All no-deposit bonuses are also subject to 40X wagering requirements. Under standard wagering terms, only the pokies and scratchies count towards play-through requirement so gameplay on all table games, live dealer games and video poker games will not help towards your requirements. And remember, gamble responsibly. You’ll find all the major pokies titles from NetEnt and Microgaming here, along with some licensed movie and music pokies that aren’t available at our other top-rated sites. There’s also a couple of table game variants we haven’t seen elsewhere like Roulette Machine, and mini games like The Big Wheel and Doubles Heaven. There’s a good selection of card games on offer, although the blackjack offering pales in comparison to most of our other recommended casinos. Pokies – Mega Moolah, Dragonz, Battlestar Galactica, Game of Thrones, Wish Upon a Jackpot, Avalon, Thunderstruck II, Jurassic Park, Immortal Romance, Michael Jackson King of Pop, Jimi Hendrix, Titanic, James Dean, South Park, Starburst, Gonzo’s Quest. Video Poker – Aces & Faces, Deuces Wild, Jacks or Better and Joker Poker – all which are available in three hand, ten hand and 25 hand. Roulette – European Roulette, American Roulette, French Roulette, American Roulette Machine, European Roulette Machine, Pro Series Roulette, European Roulette Pro Special. Card Games – American Blackjack, European Blackjack, Progressive Blackjack, Caribbean Poker, Casino Hold’em, Casino War, Baccarat, Let Them Ride, Pai Gow Poker, Craps, Punto Banco, American Blackjack Turbo, Progressive Blackjack Turbo. Live Dealer Games – Gold Live Casino by Extreme, Live Dealer Baccarat, Live Dealer Roulette, Live Dealer Blackjack. All players at Slots Magic automatically join the casino rewards program which is separated into six different loyalty tiers, accumulating points for every real money wager placed. The higher you climb up the VIP tiers depends on how much you bet at the casino each month, with points accumulated differently depending on the type of game you’re playing. Points carry over for six months, after which any unconverted points will expire and be removed from your account – t&cs apply. When making a deposit using a credit card, make sure the name on the credit card matches the name on your account otherwise Slots Magic reserves the right to void all winnings in your name. If you intend to make a deposit using someone else’s credit card, you’ll need to have the card owner complete a Letter of Authority. As part as the standard withdrawal process, Slots Magic requires you to provide proof of identification in the form of ID (passport or drivers license), copy of the front and back of your credit card, utility bill no older than six months, and the email address attached to your Web wallet account (if applicable). This is an entirely reasonable request and is standard practice at all legally licensed online casinos. Where Slots Magic really falls short is with the limits imposed when cashing out your winnings. As per the casino terms and conditions, the maximum amount a player can cash out is $10,000 every 30 days. All other winnings will be paid in monthly instalments of $10,000 every 30 days. The maximum withdrawal amount per transaction is $5,000. For any cumulative withdrawals exceeding $2,330, additional verifications procedures may also be required. This is a big thumbs down, and will surely deter high rollers, while also being a big bummer to any player who’s lucky enough to score a giant jackpot win. 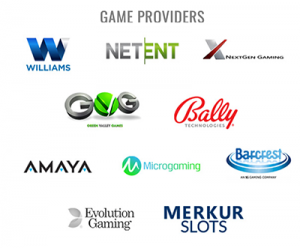 Slots Magic has a dedicated customer support team working around the clock to be of assistance to players via email, live chat and phone. You need to be a registered player to use the live chat function, otherwise you can email directly to [email protected] or call the helpline on +1 64 77 24 46 91. There’s also a detailed FAQ section available via the casino homepage that offers a comprehensive help guide. Sign up at Slots Magic today!